Whether you’re an owner of waterfront property or a luxury yacht for cruising the world, the addition of a RIB expands your travel possibilities. Tender your BRIG Falcon Tender to your vessel and cruise across the globe to your favorite island in the South Pacific before boarding your RIB to reach the nearest harbor fast. The design of BRIG RIBs also makes them excellent for parking, letting you dock and begin your tour of the city with ease. No matter where you’re vacationing, from your hometown to your go-to retreat, you can always discover something new. Cruise along the shorelines, searching for wildlife or empty beaches, or foray into straits to uncover secluded lagoons and coves to explore. 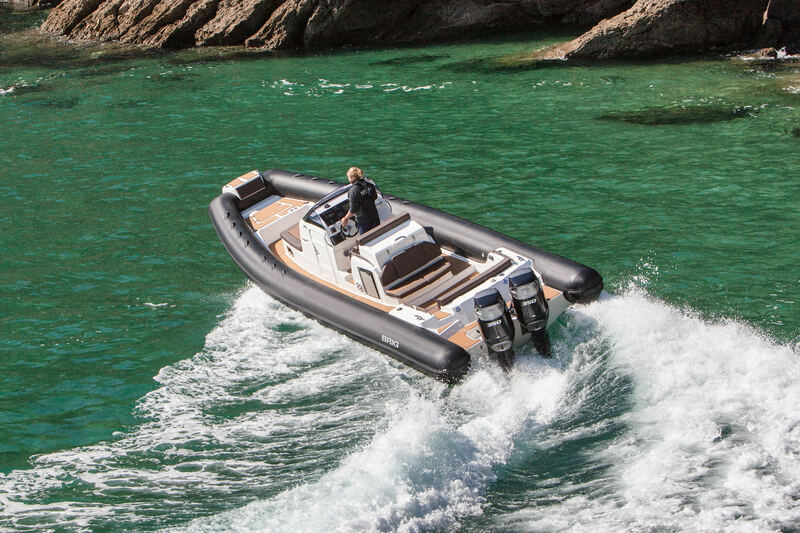 With the exceptional fuel efficiency of rigid inflatable boats, you can spend the day outdoors. Plus, onboard storage is available. Pack jackets, snacks, drinks and more to fuel your adventures. 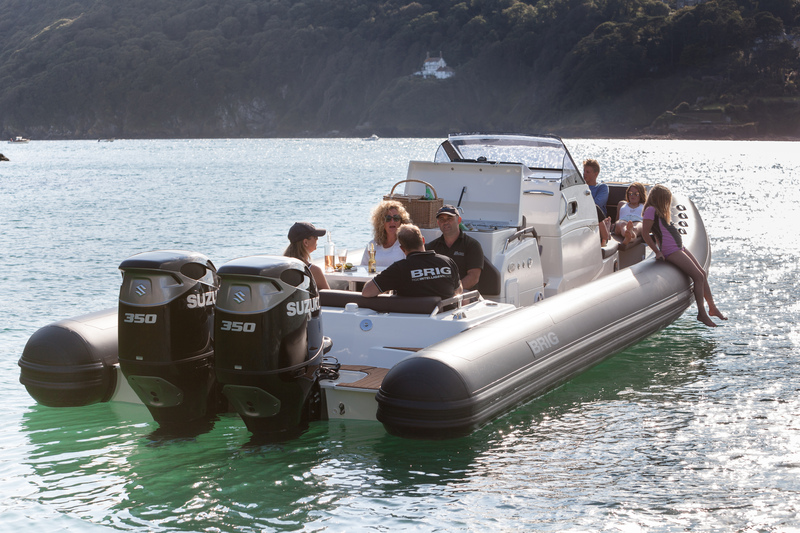 Escape the rush of your career with an afternoon aboard your RIB, alongside your family or friends. With the BRIG Eagle series, you can seat as many as 10 of your closest confidantes, as well as take advantage of a removable table so you can all dine together. You might also make your escape a solo adventure and bring your camera for some photography work or take a break with your favorite book. Give your weekends away a rush of excitement with watersports, from wakeboarding and waterskiing to scuba diving. Invite your friends and form a party of rigid inflatable boats to visit and dive at your favorite location, capturing glimpses of exotic creatures and flora as you spend time with your best friends. Or, start some friendly races to test the power of your RIB — with superior shock absorbency, you can trust your ride will stay smooth and that everyone will keep dry. A variety of factors tug at your time, but with a shared activity, you can bring your family together. Grab your partner and kids, and head to the harbor. Spend the day swimming in the water, exploring beaches or wakeboarding, followed by a dinner at your favorite eatery. All our rigid inflatable boats for sale are unsinkable too, giving you confidence in your family’s safety. Whether you’re looking for group, family or solo fun, an adventure will find you aboard a rigid inflatable boat. With the handcrafted build, exceptional quality and trusted safety of BRIG RIBs, you can expect years of memorable experiences with your family and friends as you traverse the open water. At Sirocco Marine, we’ll make sure of it, helping you find the best RIB for your journeys, as well as providing complete support afterward. Start exploring our various BRIG rigid inflatable boats for sale today, and contact us to learn more!